Officially the world’s longest running and most successful tribute to the BBC’s famous sitcom, this Australian original has made its international mark as an ‘unforgettable night out’ (The West Australian). Selling out at shows all over the world—including Sydney Opera House and London’s West End—it’s now returning to Castlereagh Boutique Hotel in June 2019. But be warned: tickets will sell out here too, so early booking is essential! 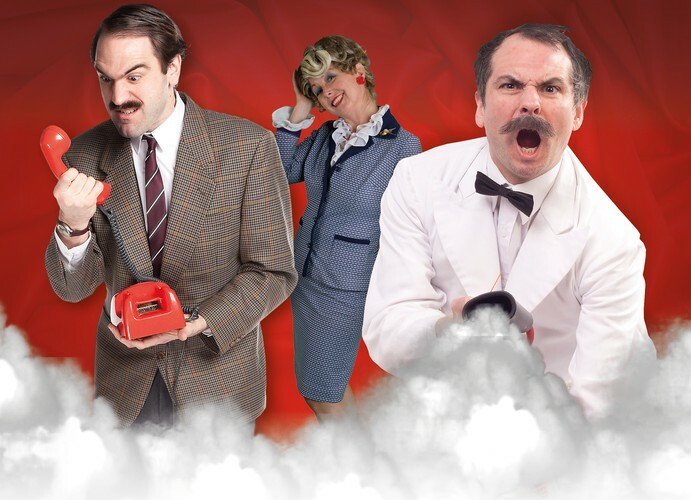 Basil, Manuel and Sybil are in town—and they’re bringing a healthy dose of mayhem to your door. Fully immersive, highly interactive and completely original, this is the top-flight show where anything can happen and usually does—and with 70% of the show improvised, it’s never the same twice. With two hours of comedy, three courses of food, and five-star reviews, expect chaos, laughs, and a brilliant night out. $2.20 booking fee included in ticket price. All tickets include a 3-course meal and 2-hour interactive show.